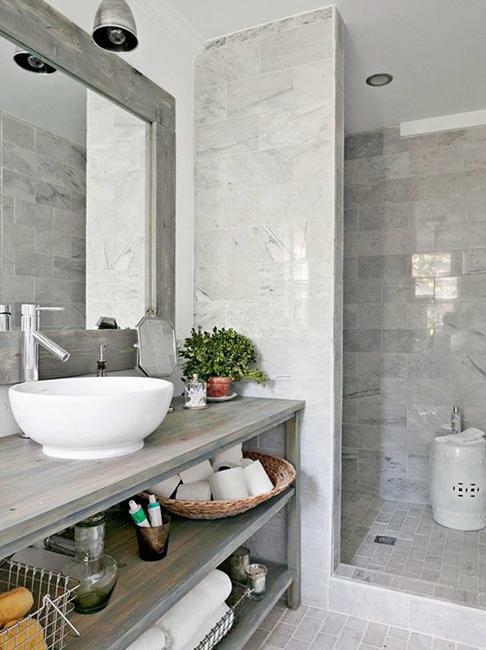 A small bathroom can look impressive, comfortable and cozy. 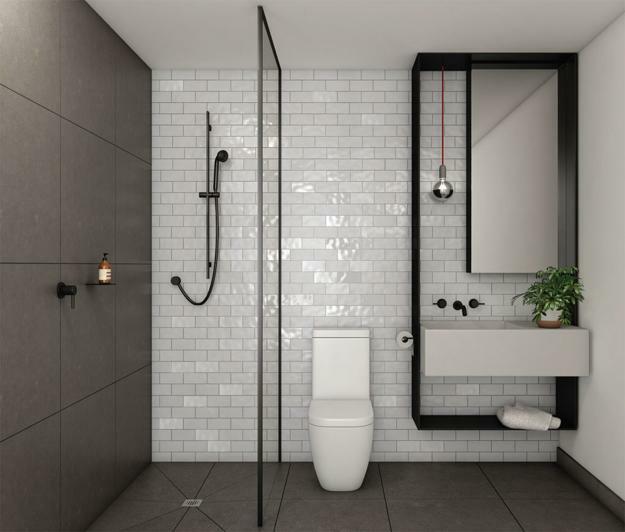 Small bathroom design is often challenging, but fascinating, requiring elegantly straightforward and functional solutions, but asking for modern ideas. 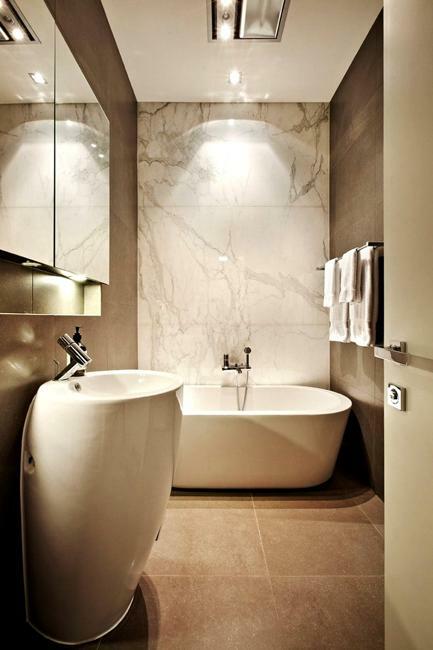 Beautiful small bathroom designs delight, offering smart, space saving, and maximizing the space decorating ideas. 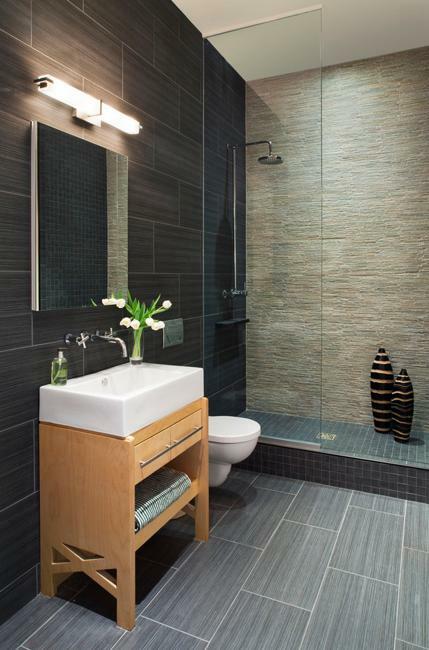 Well-designed small bathrooms provide great inspirations for remodeling and interior redesign projects. 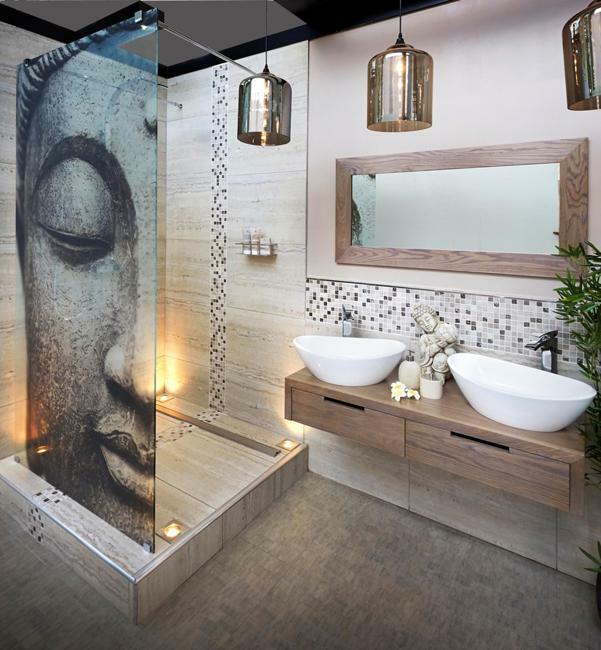 Lushome shares a collection of small bathroom interiors which the readers can find beautiful and inspiring. 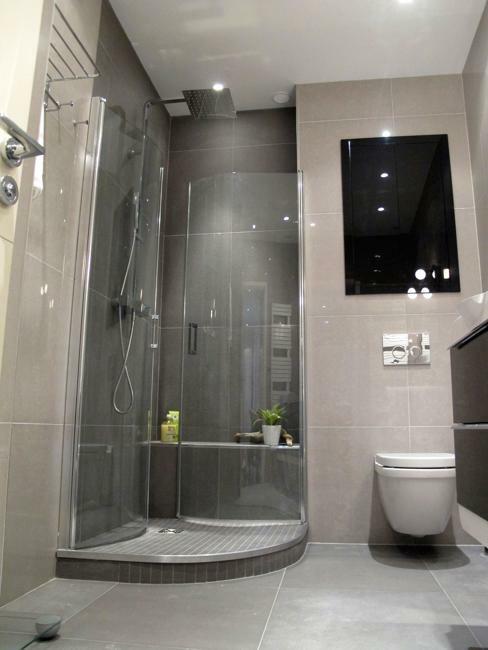 There are many modern bathroom renovating ideas which are perfect for small spaces. 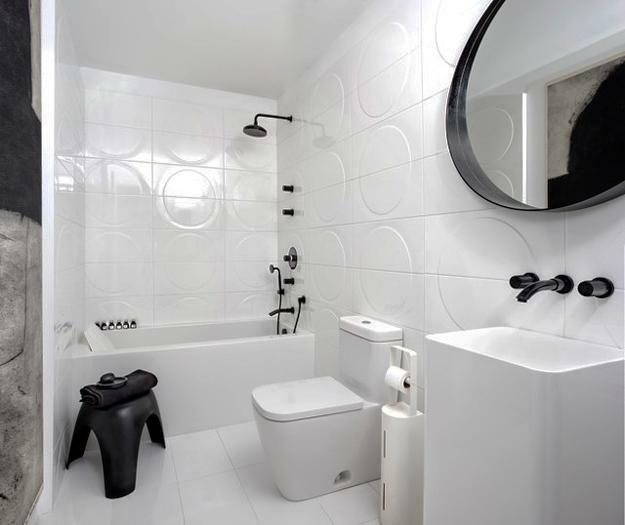 Soft contrasts, light neutral tones, monochromatic and bright bathroom colors, interesting combinations of textures and decoration patterns, modern wall design, glass elements, unusual wall mirrors and dazzling lighting fixtures are just a few ways to improve small bathroom designs and create fabulous interiors. 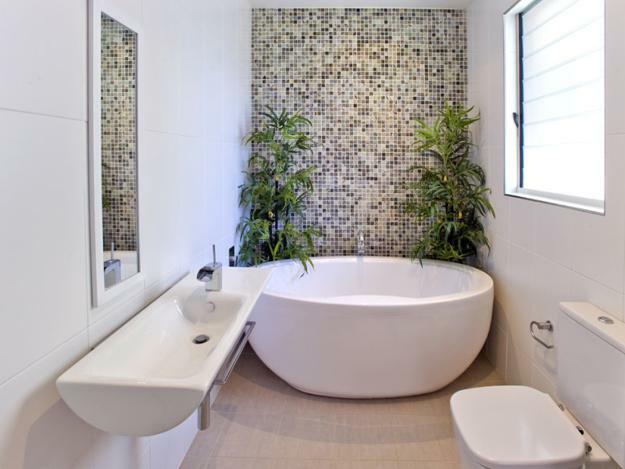 Well-chosen bathroom design ideas and compact decor transform small rooms into inviting, functional, comfortable and cozy. Functional design and space saving solutions create great layouts in small rooms which feel comfortable, inviting, and stylish. 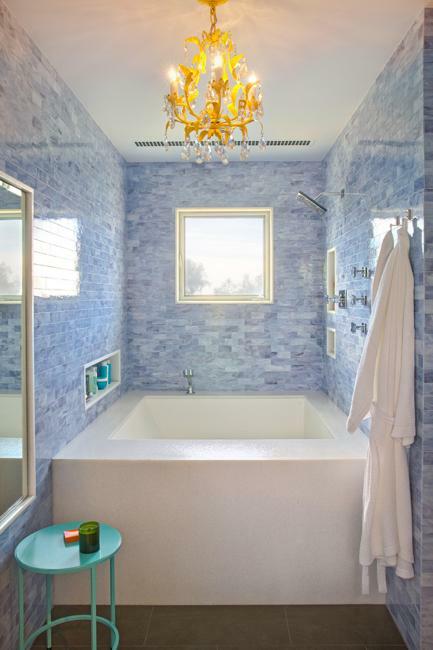 Here are the modern ideas reflecting the latest trends in new design and bathroom remodeling. 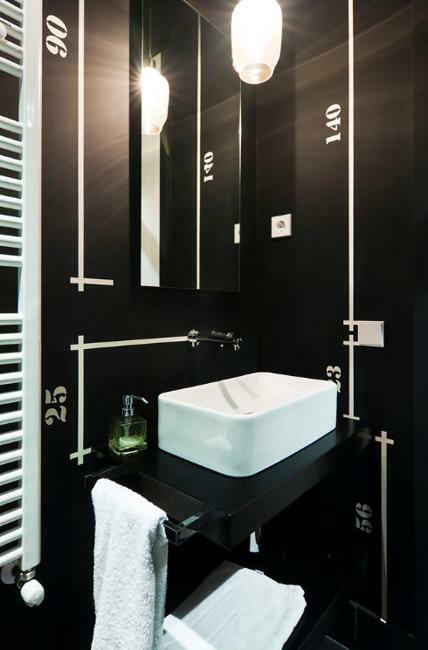 Black and white bathroom designs look sophisticated. Light monochromatic color schemes and white decorating feel airy and fresh. 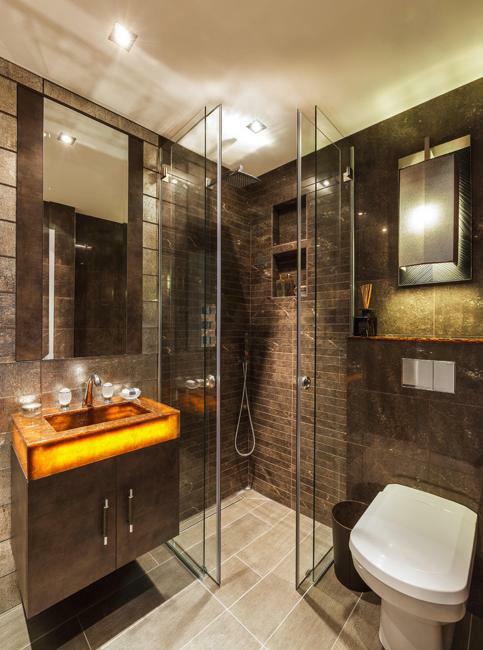 Wall cabinets with mirrored and glass doors, large mirrors, and bright bathroom lighting fixtures are excellent solutions for bringing more light into small rooms and creating a pleasant illusion of generous interiors. 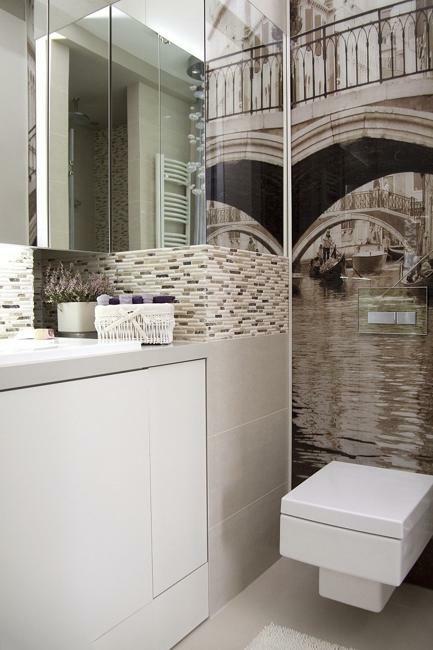 Photo wallpapers and mosaic tiles can be used to add optical illusions of bigger spaces and add interest to the small bathroom design. 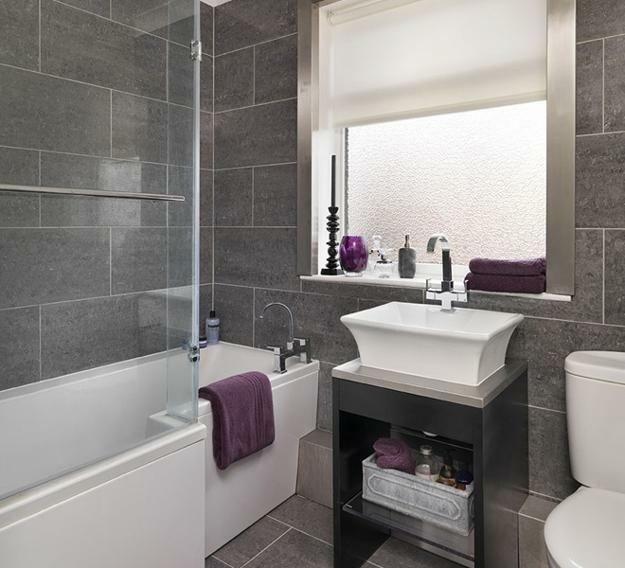 Compact bathroom features, space-saving layouts, and stylish interior decorating give a charming look to small bathrooms and improve their functionality. 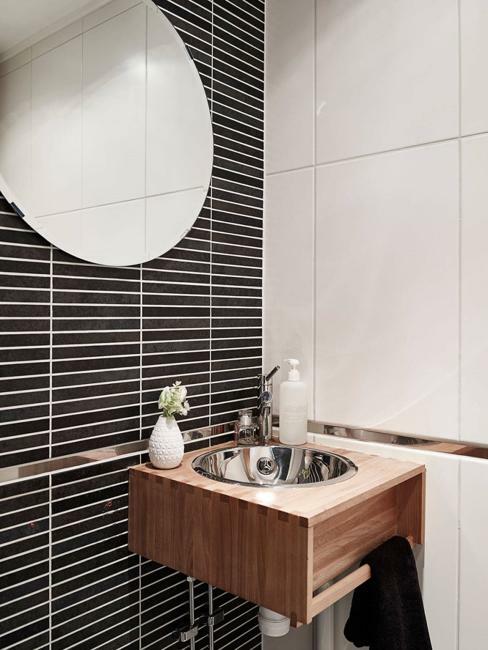 Small bathroom features are great bathroom remodeling ideas, especially for small spaces. 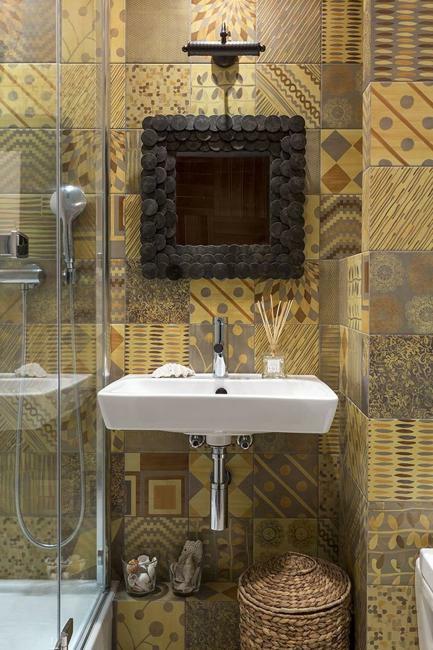 Patchwork tile designs, modern wallpaper patterns or creative painting ideas give personality to modern rooms. 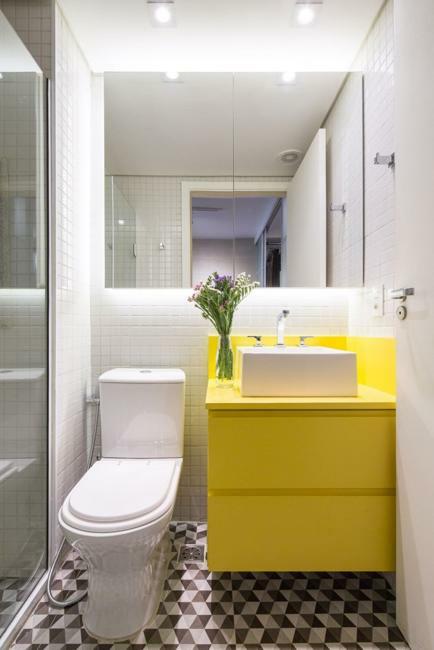 Clutter-free decorating and light room colors increase small bathroom interiors visually. 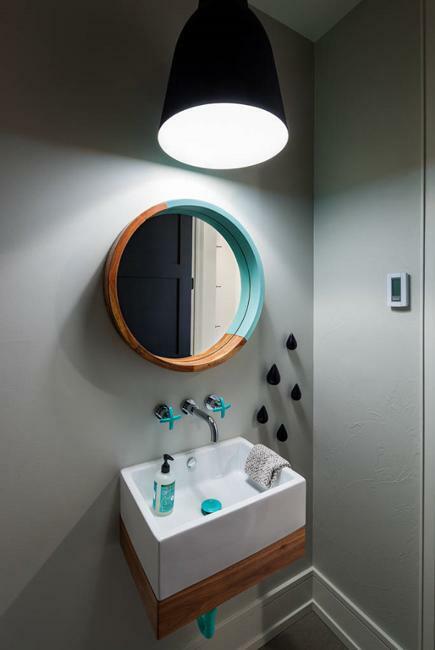 Unusual wall mirrors are great bathroom accessories that bring more light stretching small spaces and elegantly accentuating bathroom design. 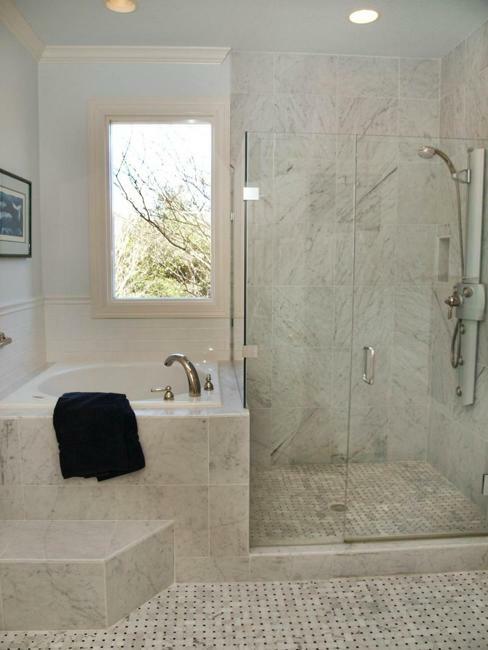 Glass shower enclosures are fabulous space-saving ideas that beautify small bathroom remodeling projects. Functional simplicity and stylish elegance of transparency give a character and a modern vibe to small interiors. 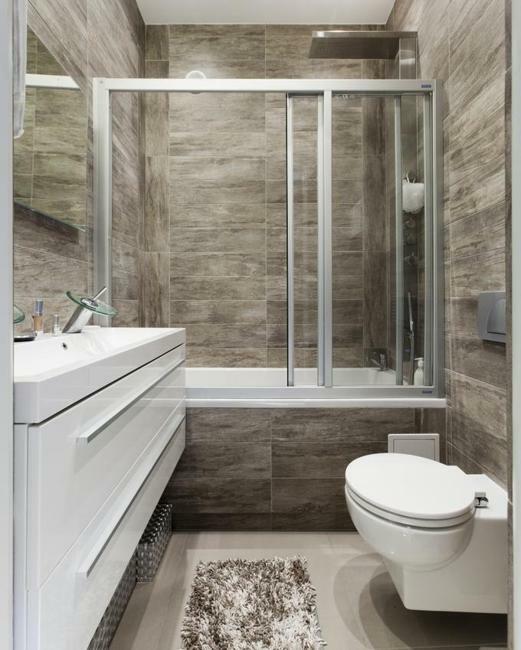 Wood elements and house plants balance a bathroom design, add warmth and coziness, and create inviting and beautiful interiors. 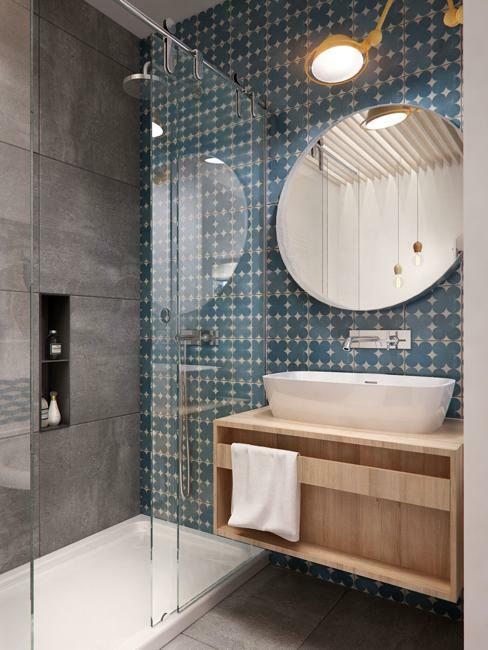 Changing lighting design for dazzling lamps, adding glossy texture to bathroom interiors, and decorating with shiny metal accents are practical, stylish, and attractive ideas for modern bathroom remodeling. 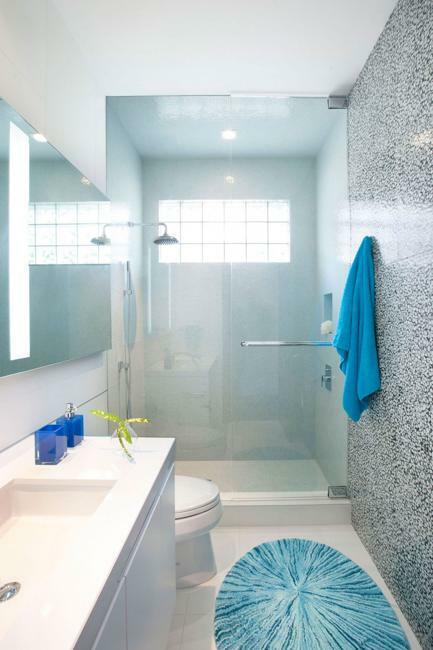 Glass tile designs, mirrored cabinets, glass wall shelves and glass shower doors look fantastic with metal bathroom fixtures and bath accessories. 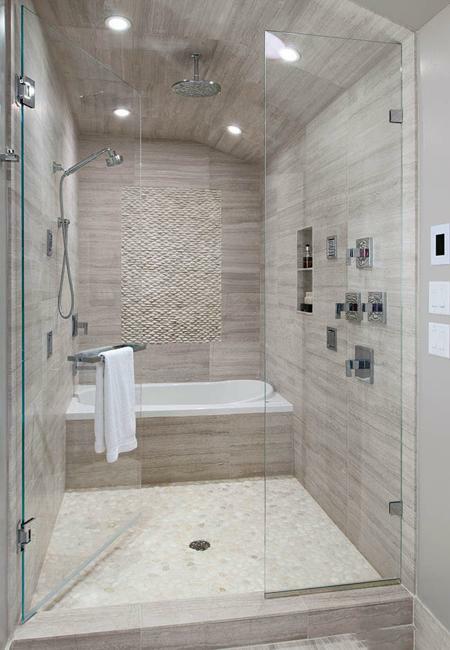 Metal, glass, and polished ceramic stretch small spaces and add an airy, breezy, and pleasant feel to modern interiors.